Slightly different this year, not at the actual CES venue but at The Mirage, Crystal Cable (with its US distributor Audio Plus Services) introduced the new interconnect cable for THE ULTIMATE DREAM, the first portable cable in Crystal Cable's range; DUET and a golden version of MINISSIMO DIAMOND. 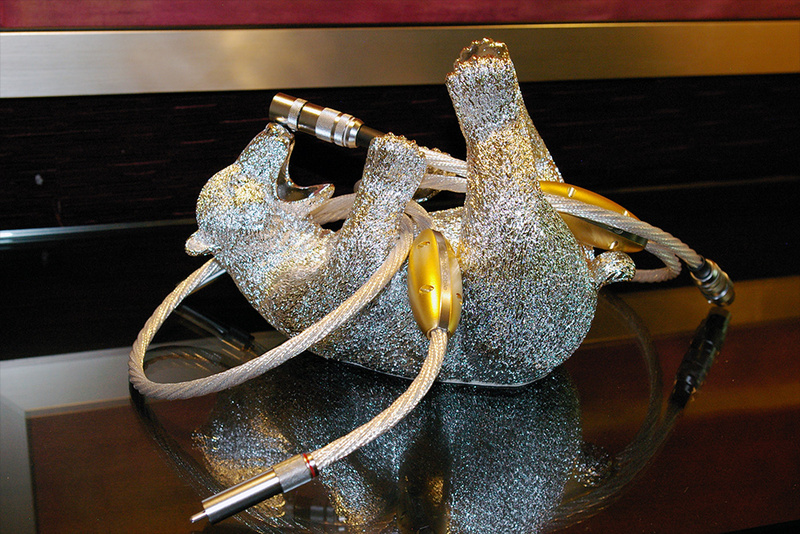 Crystal Cable isn't new to the "portable cable" market—it has manufactured cables for Astell&Kern for the past three years—but its new Crystal Duet (€700 for 1.2 meters) is the first such cable branded and marketed under their own name. Constructed with silver and gold interconnects and a fascinating internal geometry whose innovative braiding renders it suited for both "standard" and balanced listening, the cable comes in a light, soft, hypoallergenic pouch. Custom lengths are available. 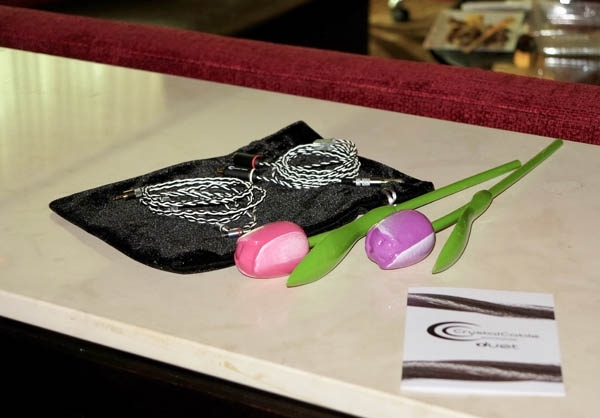 Not shown is Crystal Cable's brand new flagship, The Ultimate Dream interconnect (€16,500/1-meter pair), which is the first Crystal Cable to use Oyaide terminations. The monocrystal "rare earth" silver and gold design uses six conductors, and claims to incorporate technology that eliminates magnetic distortion. 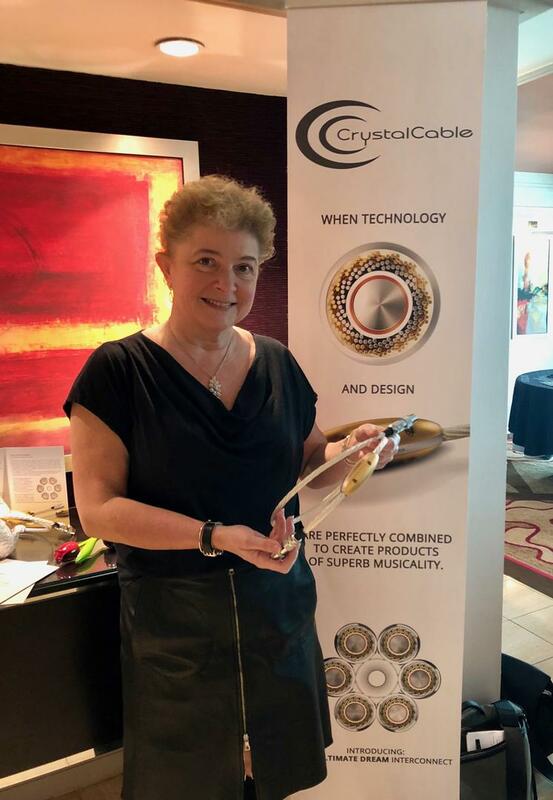 Gabi Rijnveld of Crystal Cable showing Crystal Cable’s new flagship Ultimate Dream monocrystal cables. 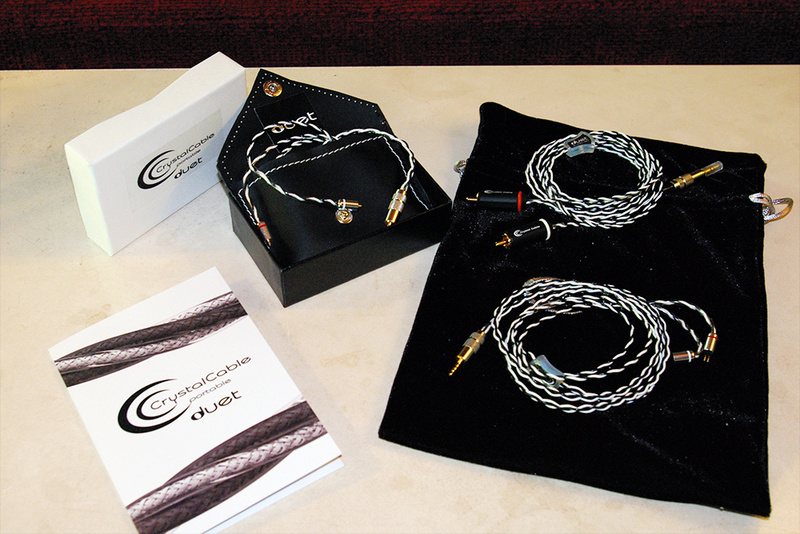 Crystal Cable previously produced the Cantabile cable for portable music players through a collaboration with music-player maker Astell&Kern. At CES 2018, Crystal had its new Duet cable, also designed for portable products. Available in various configurations and with high-quality Oyaide connectors, the black-and-white cable houses conductors made of a blend of gold and silver for high conductivity. The Duet also contains a silver-over-copper woven shield. Prices have yet to be set for North America. Crystal Cable also introduced its Ultimate Dream interconnect, which now completes the line that previously comprised only a speaker cable and power cord. The complex cable geometry consists of six conductors, each containing a monocrystal-silver core surrounded by both a gold-plated monocrystal-silver shield and silver-plated monocrystal-copper shield. The Ultimate Dream interconnect is available in single-ended and balanced configurations, terminated with high-grade, custom-made Oyaide RCA (single-ended) and XLR (balanced) connectors. Like the Duet, pricing has yet to be determined.